I am really happy to share with all of you a SUPER giveaway! You have the chance to win a Double Stroller! How awesome would that be? 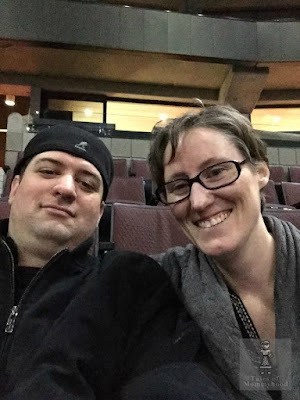 Keep reading for all the info you need! 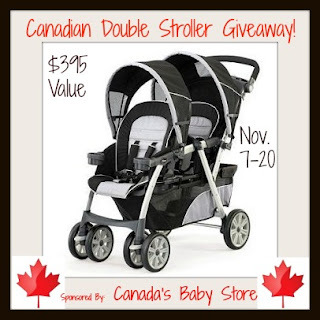 Welcome to the Canadian Double Stroller Giveaway! An extra special giveaway just for our Canadian fans, shared by Canadian bloggers and sponsored by the ultimate online Canadian baby store! Hosted by Baby Giveaways Galore and sponsored by Canada's Baby Store. Sells a huge selection of baby products: car seats, strollers, travel systems, playpens & yards, highchairs, swings & jumpers, nursery items, home safety, health products and toys. in the store even sale items! 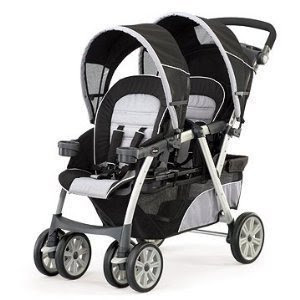 SALE: The Chicco Cortina Together double stroller is on sale right now for only $229.69 .